302 W. QUEEN ST. / 301 N. HASSELL ST. This one-story, side-gabled house is three bays wide and single-pile with a gabled ell at the right rear (northwest). The house has plain weatherboards, two-over-two wood-sash windows, and a 5V metal roof. The shed-roofed dormer with wood shingles and paired four-light Craftsman-style windows may have been added later. The one-light-over-three-panel door, centered on the façade, is sheltered by a near-full-width, shed-roofed porch supported by turned posts. 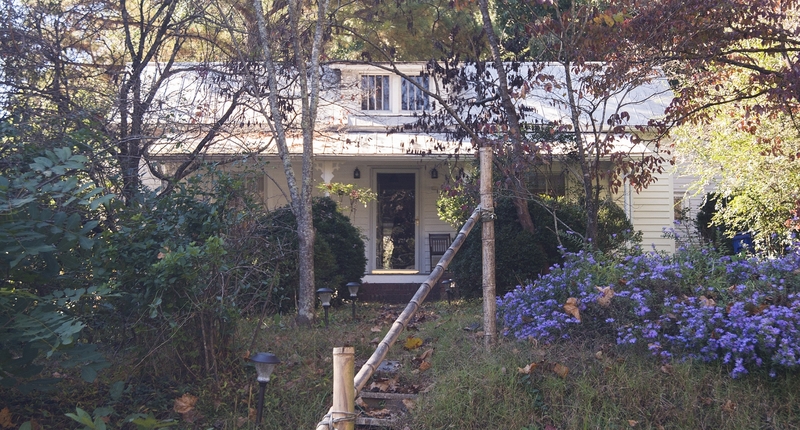 There is a shed-roofed porch along the left (south) elevation of the rear ell that has been enclosed with awning windows. A c. 1940 shed-roofed wing on the right (north) elevation has wider weatherboards and an interior brick chimney. The house faces North Hassell Street, but has a West Queen Street address. County tax records date the building to 1911. The house appears on the 1924 Sanborn map and the rear wing appears enlarged on the 1943 Sanborn map.